UPDATED February 05, 2019 – Still considered one of the most lethal cancers in the world, Pancreatic cancer is third leading cause of cancer-related deaths in the world, with an average survival rate of less than 8% making it the only known cancer type with pancreatic cancer life expectancy and survival rates below 10%. 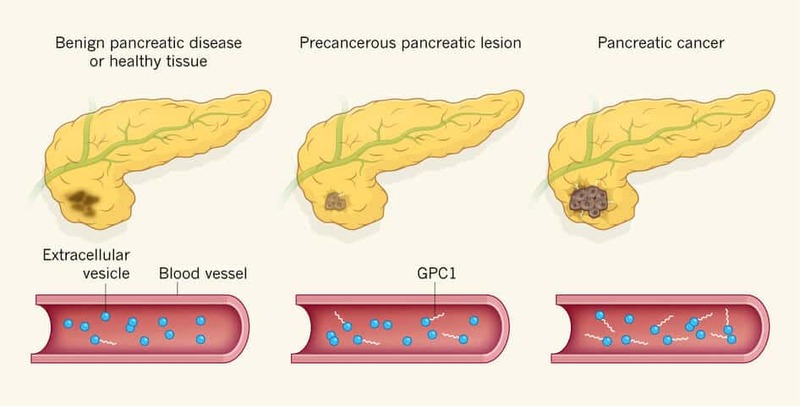 Pancreas cancer typically forms in the pancreas (lower part of stomach) where its primary job is to slowly release enzymes to help aid in digestion and releasing hormones that help humans manage blood sugar levels. Once it takes hold, Pancreatic cancer usually spreads fairly rapidly to surrounding organs and is rarely detected in the early stages. Early detection is very helpful and for patients with pancreas cysts or hereditary component of pancreas cancer should schedule regular screenings to detect any problems early on. Cancer in the pancreas results from mutations in the DNA. These DNA mutations cause human cells to grow/divide uncontrollably and to continue accumulating in masses. These accumulating mass of cells form a tumor in the duct lining of the pancreas. 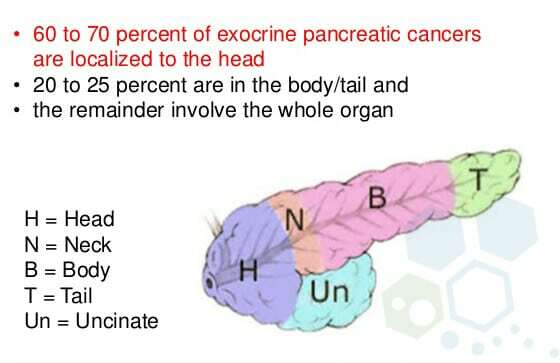 (27069086) This form of pancreas cancer is knowns as pancreatic exocrine cancer or pancreatic adenocarcinoma. In some rare cases, cancer can also form in neuroendocrine cells of the pancreas which irresponsible for the production of hormones. Cancer stem cells that attack this function are known as pancreatic endocrine cancers, islet cell tumors and pancreatic neuroendocrine tumors. Functional medicine for cancer available to patients diagnosed with pancreatic cancer depends entirely on the type of cancer they are diagnosed with, the stage of the cancer and location/spread of the disease. The primary goal is usually to try to completely remove the underlying cancer tumor along with any other cancerous masses in the body. For some cases, a complete surgical resection, Whipple procedure, laparoscopy or distal pancreatectomy is an option however require very early detection and is realistically only viable to less than 18% of the patients who are diagnosed with pancreas cancer. Other traditional treatment options include radiation therapy & chemotherapy or a combination of the two but chances of curing pancreas cancer typically depend on the tumor location and severity of spread to lymph nodes. Unlike other forms of cancers, pancreatic cancer is much more resistant to traditional chemotherapies and most patients using traditional means ultimately relapse and/or succumb to the effects of the rapidly spreading disease. cellular immunotherapy is not appropriate for ALL types and stages of pancreatic cancer. Cell based therapy and options for hematological engineering are limited in many cases. Late stage patients may not be ideal candidates and may be unqualified for the 2-4 week therapy protocol needed. Our team of cellular oncologist have a combined 50 years of experience dealing with cancers and the immune system. Our holistic cancer treatment protocols offer unique bio-engineered approach without invasive surgery or dangerous side effects. Our cancer team offers an integrative and targeted therapy to attack the tumors, alleviate the underlying symptoms and significantly increase the overall quality of life for any patient diagnosed with the destructive effects of the disease. (25789286) With or without conventional therapies, our individualized treatment programs offers patients optimal chances for success. Traditional cancer therapies such as radiation therapy & chemotherapy expose humans to significant side effects and toxicity. Over time, the traditional therapies have not changed but the cancer cells have evolved making them more resistant to the chemicals and rendering these traditional therapies ineffective. (28736635) This cellular evolution of cancer stem cells is what leads to recurrence and allows them to proliferate much more aggressively than before the chemo & radiation therapies began. Some new pharmaceutical medications have been developed to effectively target and destroy cancer cells with much less toxicity, but the payloads often don’t reach the intended destinations and are consumed but the immune system before it can reach the intended targets and tumors. To determine eligibility and treatment opinions from our immunotherapy team we will need to better understand the patient’s existing needs via recent histological results, Biopsy scans, blood tests, x-rays, scans, bone marrow sample results and/or clinical diagnosis documents from your primary care oncologist. Being diagnosed with the big “C” does not have to be the last stand. Even if traditional cancer treatments options have reached their limits, Our team can still offer options that bring you one step closer to gene therapy treatment and living a cancer free life. We are here to help you and your family get past the disease using safe and research-based alternative treatment options for treating cancer of the pancreas. To learn more please contact us today. i was diagnosed with Stage IV adenocarcinoma with metastases to the liver in October. I tried a round of FOLFIRINOX and it failed. After that Gemcitabine+Nabpaclitaxil but so far nothing is helping. i know this is a new treatment for stage 4 patients but what is the success rate of immunotherapy and how much does it cost? My mother was diagnosed last year for cancer in the pancreas. She is diagnosed as stage three but we are looking for a second opinion because we think she may be stage two. the first surgeon was really quite difficult and rude. Hes considered one of the best in the field but he yelled at us and told us to surgically remove the organ entirely. We are not comfortable with this doctor or treatment plan and are looking for a bit less radical treatment. Cans your pancreas treatment help us? ?